Wet-Tech, Inc. Wet-Tech takes it from design to finished product. EDM Work is one of the many expertise here at Wet-Tech, along with Mold Design/Build, Custom one off parts, CNC, Laser Welding, Ram EDM, Wire EDM, Small Hole EDM, and more. Call 219.297.3588. Your Idea from Design, Build, to Finished Product! We are your one stop shop! Wet-Tech, INC has Ram EDM: The Ram EDM method allows us to machine complex cavities in the material. 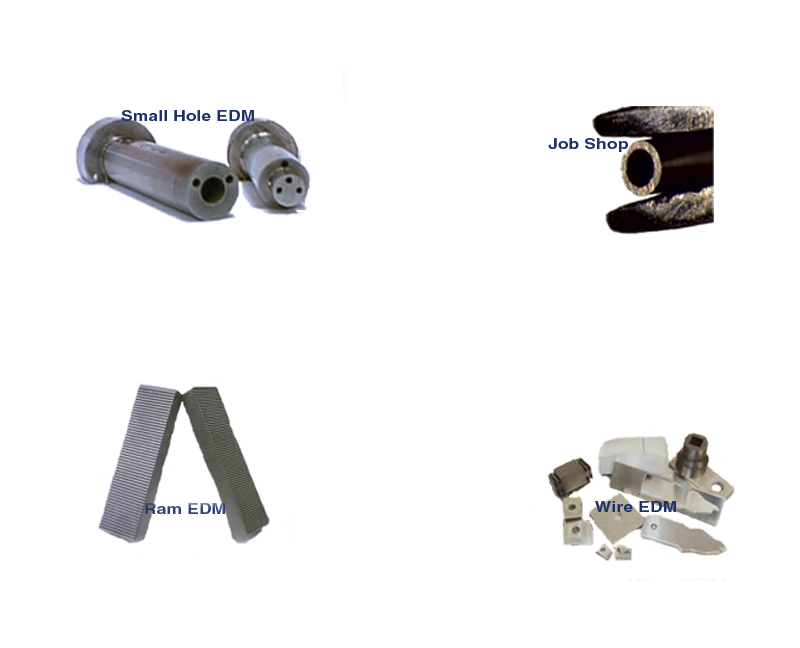 Wire EDM: Wire EDM is used to generate virtually any 2D shape or drafted 2D shape. And a Small Hole EDM: We can locate holes within plus or minus .0005 and as small as .020 inches diameter.. With these machines, we can manufacture a diverse assortment of parts. EDM is short for "Electrical Discharge Machining", which is the process of electrically eroding or vaporizing metal, or other conductive materials, by means of bombardment of sparks. Wet-tech, Inc can handle your idea from design to finished product. Need custom one off parts, then we are your answer! We do CNC, Ram EDM, Wire EDM, Small Hole EDM, and more. Contact us for all your design, product, and custom part needs. This site, its contents and all related content, formats and documents are copyrighted property of Wet-tech, Inc. and are not to be reproduced or republished without the written consent of Wet-tech, Inc.